Kylie Jenner has finally announced the birth of her first child, after covering up her pregnancy for months. Happy news that he delivered via Instagram on Sunday (4/2). 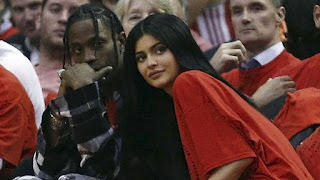 According to Jenner, her baby girl with rapper Travis Scott has actually been born since last Thursday (1/2). He also apologized for the secret. "I apologize for letting you wonder in the dark amidst all the assumptions. I understand you are used to me taking you on my whole journey. My pregnancy is one thing I do not want to show off to the world, "Jenner writes about the baby she calls beautiful and healthy. He then uploaded a YouTube video teaser to his Instagram, which showed himself in the operating room after giving birth to the baby. He was seen holding the baby. Jenner's announcement of his daughter immediately became a trending topic on Twitter in the United States. The news is even more popular than the #SuperBowlSunday tagline that took place on Sunday night US time. Jenner's announcement just hours before the Super Bowl began. As soon as Jenner announced the birth of his daughter formally, his sisters such as Kendall Jenner, Kim Kardashian and Khloe Kardashian immediately gave him support. Similarly his mother, Kris Jenner. Jenner predicted earlier delivery in late February. Pregnancy news itself has been pushed since September last year. Unlike the two sisters who were also waiting for a baby, Jenner never open the voice about her first pregnancy. In an in-house clothing photo shoot session she even prefers continuing to wrap her up with a blanket, while her sisters spit on their sexiness. Before the 20-year-old celebrity announces his birth, Kim has already picked up a third child with her husband Kanye West, who was born through a surrogate mother. The child, named Chicago, was born on January 16. While quoting Reuters, Khloe's pregnancy still reaches about seven months. 0 Response to "Kylie Jenner First Childbirth"